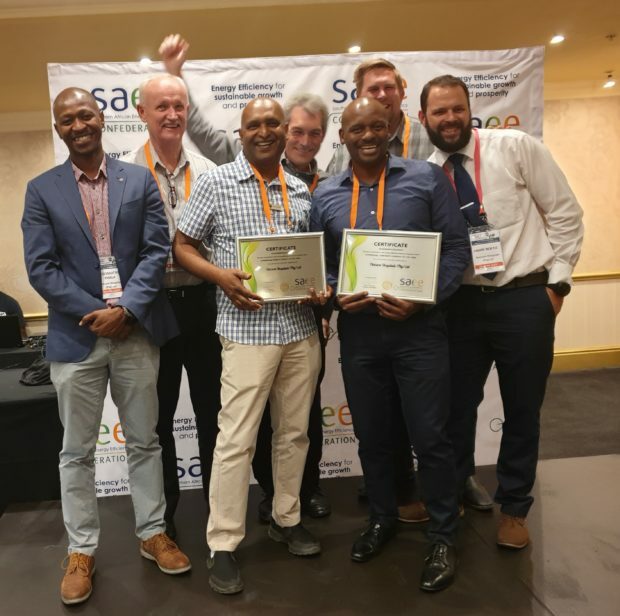 Netcare won two coveted awards at the 2018 South African Energy Efficiency Confederation (SAEEC) conference. 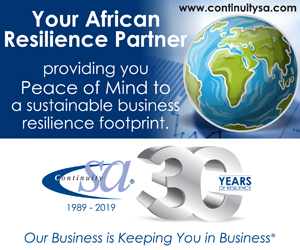 The private healthcare group was recognised with the Commercial Corporate Company of the Year and Commercial Energy Project of the Year awards at the recent 13th annual SAEEC conference that took place in Kempton Park, near Johannesburg, recently. The SAEEC accolades follow on four international awards – two gold and two silver Climate Champion Awards – which Netcare received earlier this year following its participation in the 2020 Health Care Climate Challenge, which is organised by the internationally renowned Global Green and Healthy Hospitals organisation. From left: Khomotso Phala, senior reliability engineer; Eddie Herrmann, national technical manager; Magan Reddy; regional technical manager (North East Region); Johan Durand, environmental sustainability manager; Marema Mathenjwa, regional technical manager (South West Region); Jaco Ras, group project engineer; and Andre Nortje, group energy engineer. Dr Richard Friedland, chief executive officer (CEO) of the Netcare Group, says the SAEEC’s Commercial Corporate Company of the Year award was made to Netcare following an evaluation of its sustainability programme, consisting of 63 major energy-saving projects and initiatives implemented across the group’s facilities since 2013. He says that the projects have resulted in the reduction of their carbon footprint by a total of more than 47 000 t of CO2/y. These projects have included the utilisation of heat pumps and waste heat for generating domestic hot water, the optimisation of HVAC systems, the implementation of energy efficient building management systems, a major lighting retrofit project and the installation of solar PV panels at 53 of the group’s facilities. The SAEEC’s second award to Netcare, Commercial Energy Project of the Year, was for the group’s massive R130-million lighting retrofit project, which involved the replacement of more than 108 000 inefficient lamps and light fittings with modern energy efficient alternatives. 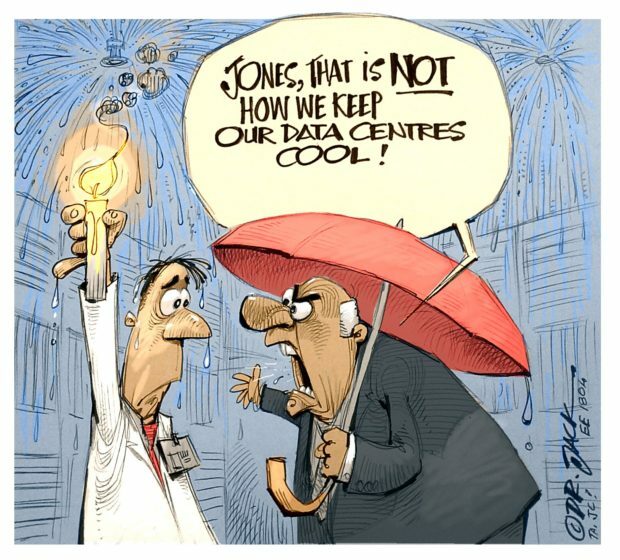 This project resulted in energy savings of more than 17 000 000 kWh in the first year of operation, which translated into a 40% saving on Netcare’s lighting load. It also reduced the hospitals’ carbon footprint by more than 16 000 t of CO2/y.